Bhutan tourism is incomplete without Bhutanese street food. People here love spices. Therefore, the most used vegetable in Bhutan is green and red chillies. Ema Datshi is the National dish of Bhutan. It consists of chillies and cheese. Other variants of Ema Datshi is Kewa Datshi and Shamu Datshi. Another staple food item of Bhutan is red rice. It is usually served with almost every meal. 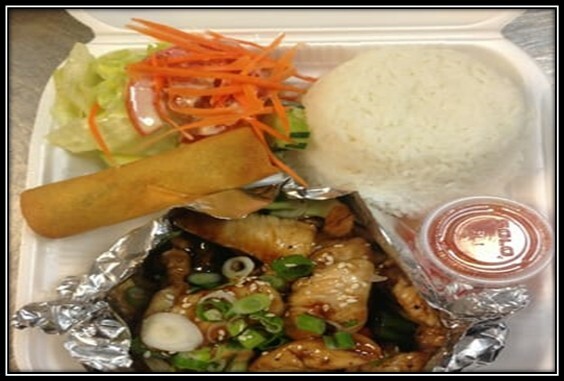 The meat of pork, beef, and chicken are widely eaten along common vegetables like spinach, pumpkin, radish, turnips, tomatoes, riverweed, onions, and green beans. At some places, Buckwheat pancakes and noodles are replaced with rice as a primary food. Ema Datshi is considered as the National food of Bhutan. It is made up of red, green chillies cooked with fresh cheese and lots of butter. It is one of the favourites and most eaten food in the country. It is a mix of green chillies, onion, tomatoes, coriander leaves, and diced chicken submerged in chicken broth. This is one of the most famous street food of Bhutan. Phaksha Paa is pork meat boiled with radish and red chillies. Sometimes dry pork is also used instead of regular beef. It is served along with red rice. 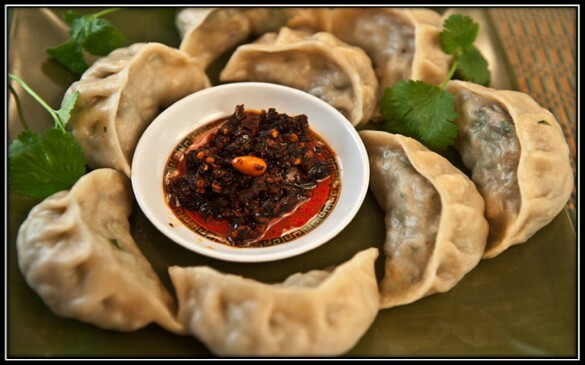 Momos and Dumplings are the most common food item found at every corner of the country. Bhutan tourism is incomplete without having freshly made momos. These are made of round dough ball stuffed with the meat pork or beef along with cabbage, fresh cheese, garlic, and coriander leaves. In Bhutan, Potatoes are called Kewa, so Kewa Datshi is made of potatoes cooked with fresh cheese. In this potatoes are sliced and then baked with cheese and lots of butter. Shamu Datshi is made of mushrooms and cheese. Here mushrooms are sliced and cooked with cheese and butter. It is usually served with rice and is a staple food item eaten almost by everyone in Bhutan. Shakam Paa is a made of dried beef dish cooked with chillies and radish. It is the most preferred protein dish of Bhutan. It is a special dish of Bhutan which is not available in most of the restaurants. The unique ingredient of this is the white chillies. The recipe is made by tossing meat of pork in white chillies and cooking it with cheese and butter. 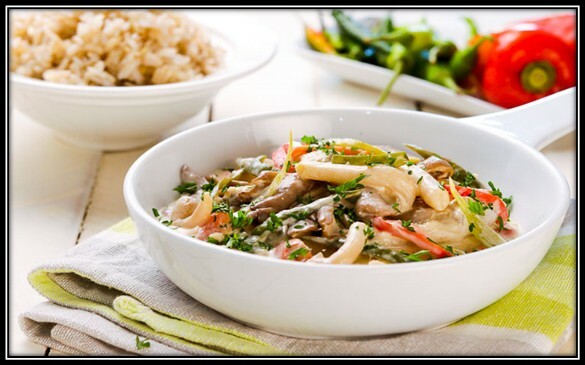 For making Phaksha Paa, pork is fried with chillies and small mountain vegetables. The result is another staple food item of Bhutan. It is usually served along with rice and Datshi dishes. Sikam Paa is just like American bacon. 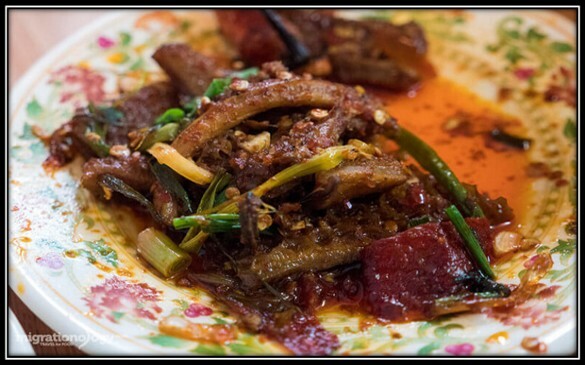 In this, dried pork is stir-fried with chillies. Yaksha Shakam can be cooked in many ways. 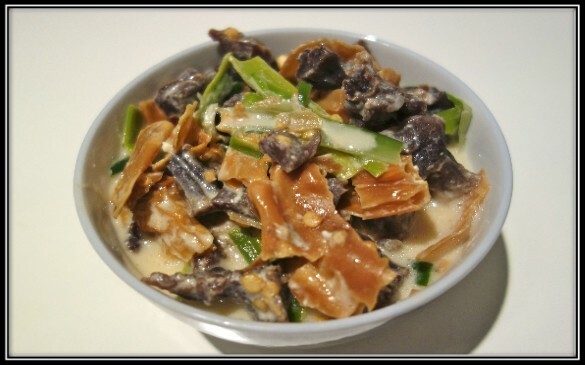 The most popular recipe is cooking the dried yak meat cooked with fermented yak cheese. Goep is made of beef cooked along with small vegetables, dried chillies and green onions. Juma is a variant of sausages in Bhutan. The dish is made by stuffing minced meat, rice, and spices into an intestine wrapper. Gondo Datshi is the Bhutanese version of scrambled eggs. In this, eggs are scrambled with Datshi cheese, butter, and red dried chillies. Hoentay has originated from Haa Valley in Bhutan. They are similar to momos. The only difference is that the wrapper is made of buckwheat instead of dough. It is stuffed with spinach, garlic, turnip, and cheese. Hoentay is often served with Bhutanane chilli sauce (Ezay) and steamed red rice. Lom is usually made during winters. Stir-frying dried turnip leaves make it along with pork meat. Bitter melon is called Khatem in Bhutan. To make the dish, Khatem is fried with butter and seasoning. Usually, the taste of Khatem is very sour. Jaju is the soup of leafy vegetables like spinach and Bhutanese milk. The taste of the soup is plain and mild, but sometimes cheese is added to make it creamy and hearty. 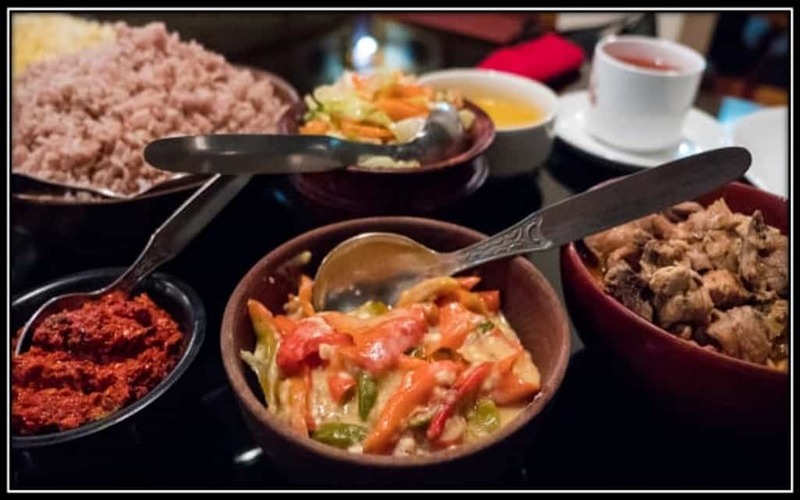 Bhutanese food is one of the most delicious cuisines in the world. It is known for its simplicity and spicy taste. Whether it is Ema Datshi or dried Yak meat, street food is one essential part of your Bhutan tourism.